"Who authorized this expense for travel for all of these resources from the vendor?" the executive was nearly screaming at me. "I did," I replied without flinching. I went on to explain the role that each of the four resources would play, for how long, how I had challenged the team to justify it to me, and how no executive was "conveniently available" at the point where the decision needed to be made and it fell into my lap to make a decision. "You need to run these decisions by me!" he spewed, almost leaping across the table. "With all due respect," I responded, "1. You made me project manager, which means that I have responsibility for issues that fall within our day-to-day planned budget (which this did). 2. You were not available when I tried to reach you to concur with my assessment. 3. We're already paying for their time (per the contract); the only addition expense I authorized was for travel. 4. My goal is to make the team successful, and in the grand scheme of this project's multi-million dollar budget, this expense seemed like a drop in the bucket to ensure the team stayed productive and successful." That last one hit an undesired bullseye, but in a weird way. He got tremendously red in the face and screamed: "How dare you accuse me of not supporting this team!!! Who do you think you are?" My inside voice kicked in at that point: "If I'm lucky, a soon-to-be-unemployed project manager." Amazingly enough, this was an executive who would stay calm and laugh off major crises that affected the critical path of a program that could damage his career and his division. He chose to get upset over a few thousand dollars of travel expenses. Lest you think that I'm making light of people with bi-polar disorder, the "diagnosis" was made by a friend of mine who is a trained psychologist (at the time, I hadn't considered that the executive might be bi-polar until it came up during the conversation with my buddy... looking back, it was pretty obvious). However, there are people out there who display alarmingly inconsistent mood swings and behavioral patterns who are not diagnosed bi-polar. Unfortunately, many of them wind up on our projects. Even worse, a lot of them serve in executive roles. When the BPE erupts, keep your emotions in check. Try to stick to factual information. Have documented information on hand whenever possible to back up what you are saying. It makes it more challenging for the BPE to argue with facts. Related to the previous bullet, take extra care to capture decision points and action items, especially as they relate to the BPE. Communicate often with them to ensure that they do not feel blind-sided. Try not to have one-on-one meetings with the BPE. If they erupt, you may want/need witnesses should it become an HR issue. If the BPE becomes too caustic, calmly remind them that you are both in a professional setting where that kind of behavior is not acceptable. Suggest an end to the conversation and/or the meeting. If the BPE is not showing the level of excitement or emotion you are needing for the issue at hand, explain the consequences of the issue if it does not get the desired attention. Keep a record of your conversations with the BPE. Again, it's a CYA thing, but you may need documentation with HR or Legal at some point, especially if the BPE is at a higher level than you in the organization. I've been reading Diana Lindstrom's recent posts about executives and how to interact with them. There appears to be a gap between what project managers need and what executives perceive as reality. I'm not implying that all executives are bi-polar (Heaven help the state or corporations if that were the case), but I do believe that the demands placed upon many executives do not allow them to focus as long or as in-depth on certain issues as they may need. It then becomes the job of the project manager to "manage upward" to help them understand. Still, there are many executives whose lack of leadership skills make us wonder if we're dealing with the next "bi-polar express." What about you? How do you handle inconsistent behavior? 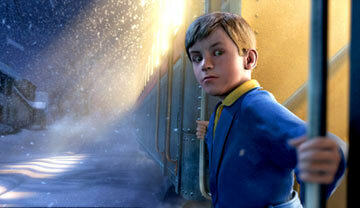 What is your bi-polar express story? Is the inconsistency simply the result of "bad behavior and office politics"? Thanks, Tim, for mentioning my blog series about advocating project management processes with executives. One time when I found myself dealing with a bi-polar outburst, I calmly asked, "What's this really about?" The executive was stunned, sat back in his chair, and started explaining how he'd just come from a meeting where every penny being spent was questioned. Diana - great material on your blog. Managing upwards is one of the most challenging aspects of PM. As you've very aptly pointed out, most execs still think in terms of operations, not projects. Thanks for dropping in for a comment.